Almost a year and a half ago, I heard Nick Cave’s cover of the Bob Dylan song from 1988 for the last time. I am just as sad today as I was then. Apparently, Sellaband no longer exists. My sadness is only exceeded by my agitation of the fact that this obviously means little to anybody. In January of 2008, I discovered Sellaband, a vital music crowdfunding community which brought forth an impressive number of musical works from famous and not-so-famous artists since its founding in 2006, however was not able to bring about the much needed commercial success. After the initial (Dutch) management went bankrupt in the beginning of 2010, a German CEO took over the business. The takeover left behind a lot of disappointed and upset artists as well as believers (supporters) but, thanks to a few dedicated employees, the platform had a brief second bloom until the fall of 2013. Since then Sellaband had only been a shadow of its former self. The sad remainder was put to rest sometime in December of 2015 unbeknownst to the rest of the world. For me, the downfall of Sellaband raises several questions which the supporters of Sellaband, music crowdfunding in general as well as all supporters of crowdfunding deserve answers to. Can music crowdfunding establish itself as an alternative to conventional music financing? Answer: It is possible, but not in its current form. Sellaband and other such music crowdfunding platforms have only established themselves as an instrument for the financing of music. In order to truly become established, there have to be options which cover the other links of the value-added chain (e.g. A&R, sales, promotion). In the end, this can only be accomplished by creating capacities for such aspects within the platform or in cooperation with established players within the music industry. This is the only way crowdfunding can establish itself as a sustainable business model and further develop into a true alternative to the classic music industry. Is music crowdfunding done for? Answer: Yes, if crowdfunding platforms do not evolve and if they continue to see crowdfunding as an independent “industry” – or if they see crowdfunding as self-fulfilling. Crowdfunding is only one of many options which an artist can take into consideration when he wants to finance his music – and it is not even the most convenient. Crowdfunding platforms have to make this type of financing both more attractive and more flexible in order to make crowdfunding more than just hype. For several years now, there have been no new concepts and no new visions – except for offers such as Patreon. All in all, it seems to be that the wind has definitely gone out of the crowdfunding sails. 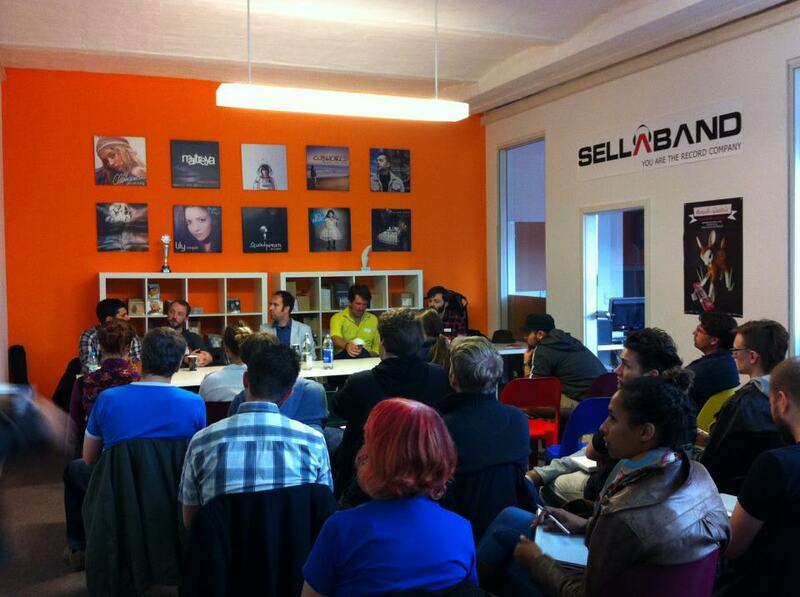 Can music crowdfunding establish itself in Germany? Answer: It will be difficult. The German music market itself is a difficult one. In addition, there are skeptical artists, fans who would much rather consume music than actively forge music careers and then there are record labels for whom the topic of crowdfunding does not even seem to exist. There is a lot of informing and convincing to be done here. How quickly can the trust from supporters be lost in music crowdfunding? Answer: Light speed. I was able to experience this phenomenon during the first bankruptcy of Sellaband at the beginning of 2010 after which numerous artists and believers turned their backs on the platform. During its second blooming in 2012/2013, Sellaband was not able to return to its former glory even though it concluded several successful projects. After the most recent bankruptcy filing in August 2015, I cannot say whether I will ever see the money I invested in the Sellaband system again or not. It is also doubtful as to whether or not the artists I have supported will ever be able to realize their projects which were concluded successfully within the platform. Some of the artists, according to their own accounts, have been waiting for the funding from their believers since 2013. Trust in crowdfunding cannot blossom in such an environment, yet trust remains one of the most important pillars of the business model. It remains to be seen if 2016 will be a better year for music crowdfunding. Will I reach my fans? An important aspect for the success of a crowdfunding project is activating the existing fan base and gaining their support. After all, the largest portion of your funding is going to come from this source. It is, of course, important to know who your fans are, where they live and whether or not they have easy access to the platform (such as language and handling of payments). You will surely tell your fans about your project through your website, project related email newsletters and through your social media channels (Twitter, Facebook, Youtube, Soundcloud, …). But, you will want to communicate with your fans through the crowdfunding platform as well. Naturally, this should take place in an environment where you both feel comfortable. The type of your project – Most of the crowdfunding platforms offer a large range of product categories for creative projects. It does not matter if you are funding just a music project (album, EP, tour) or collecting for a larger project layout which includes other art forms such as dance or theatre, an overview of the various platforms will pay out. Some platforms have specialised in music projects. The founders of these platforms often have a background in the music industry themselves, thus, likely have relevant contacts and can step up with branch experience. This is often not the case with platforms which cover everything from technology to social ideas and art. Platform support – Here, drastic differences between the platforms can be found: from engaged well-rounded support to a complete lack thereof, you can find it all. The well-rounded support includes support during the preparation phase (video, design and texts within the project profile), tips during the project (e.g. concerning how to increase reach and proceeds) and a final discussion. However, this service is often reflected within the platform fees. This is definitely something crowdfunding novices should consider. Experienced DIY artists can achieve substantial crowdfunding proceeds without such support. And, thus, save on platform costs which would otherwise reduce the project proceeds. What does it cost? We have now reached a crucial point when deciding for or against a platform. During the preparation phase of every crowdfunding project, a calculation should always be made. It is here that the more substantial costs will need to be documented, such as, for example, for production and for the shipping of rewards. The costs for the platform and handling of payments, to be paid by the project initiator (artist), are also a relatively substantial cost. This can be between 7 and 18 % of the funding sum and in extreme cases even up to 31.5 %. This simply means that this money is not available for the actual project. In some cases, the supporters must also help with the costs which could lead to the project not being funded or only being funded to a small amount. These are just some of the questions which you should ask yourself during the preparation phase for your crowdfunding project. If you need some help or have any questions, then just contact me at mario(at) musicandcrowdfunding.com. Within the next couple of days, I will introduce some crowdfunding platforms here which are especially suited for musicians.